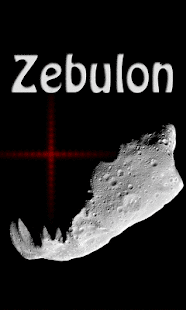 Journey through Space and uncover the secrets of the asteroid Zebulon! 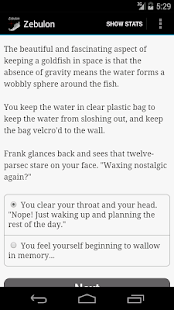 Pilot a spacecraft with two loyal sidekicks and your pet goldfish Henry. Travel to the Moon, meet some interesting characters, and then blast off to the Asteroid Belt. Along the way make the right choices to discover the secrets of Zebulon and your own past. 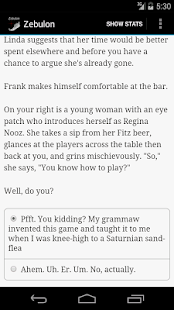 If Douglas Adams had written a multiple-choice gamebook, it might not be entirely unlike this!